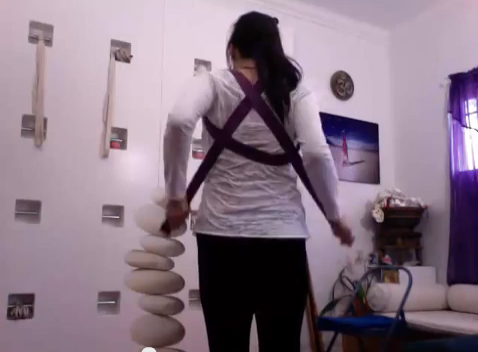 We work with the wall and a chair to show ways to work in twisting and opening of shoulder and spine. Looking at the same pose with different tools may give you room to create the openings you are looking for in a yoga asana. Working with Hyper Extension in Elbow and Knees. 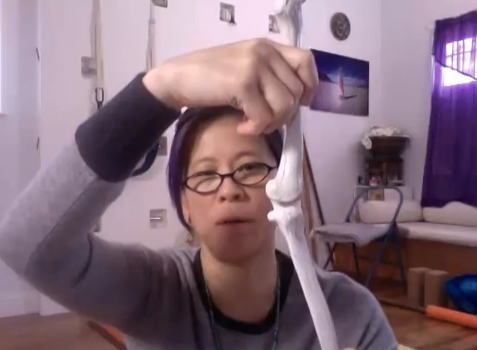 Showing how to prop the student to find the “straight” that is a mystery to those who have hyperextsnion in the joints. 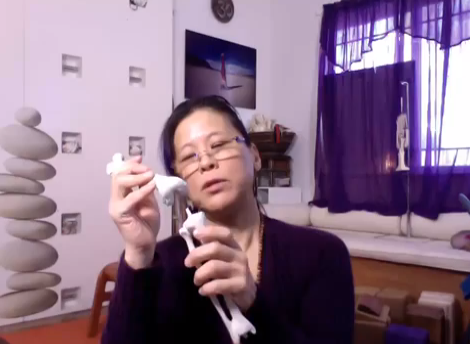 Understanding the knee joint and how to work safely in asana. We look at ACL and PCL and how it affects the standing and seated poses of most yoga classes. A tip on how to wrap the knee to help with knee recovery and inury rehabilitaiton. We explore the openings needed to work into Parsvattonasana. 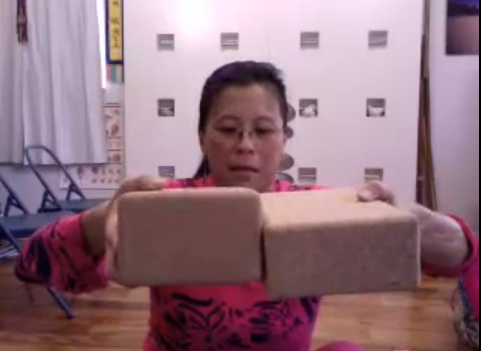 Working with the wall, chair, bolster, blankets and blocks, we explore the neck and shoulders and how to work in ease into the asana. We look at Upper Cross syndrome and the effect of neck, shoulder and hand issues. 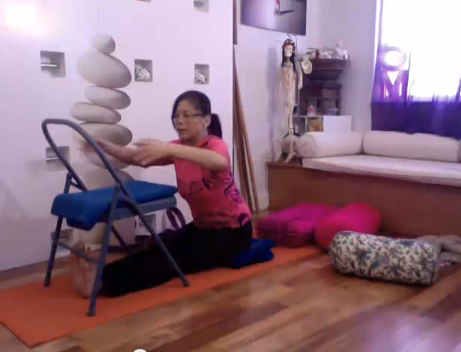 We use the wall and chair with some blocks and yoga belt for assistance. 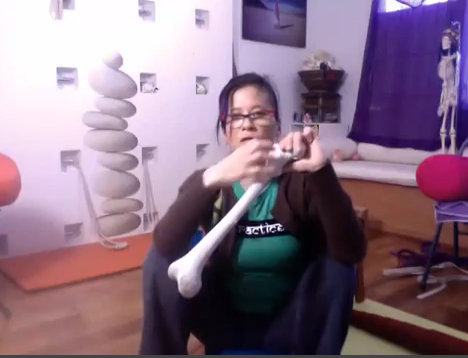 Learning the double action when working with Twists to balance the body, we use props to find alignment. Much like the Dr Doolittle animal called “Push Me – Pull You” we need to always work together in stability and ease when working in yoga asana. Working to open the shoulders and work toward inversions. Handstand, supported bridge and headless sirsa! We look at forward folding and how to use yoga tools to help us find freedom in the back body and creating energy to heal love over fear.